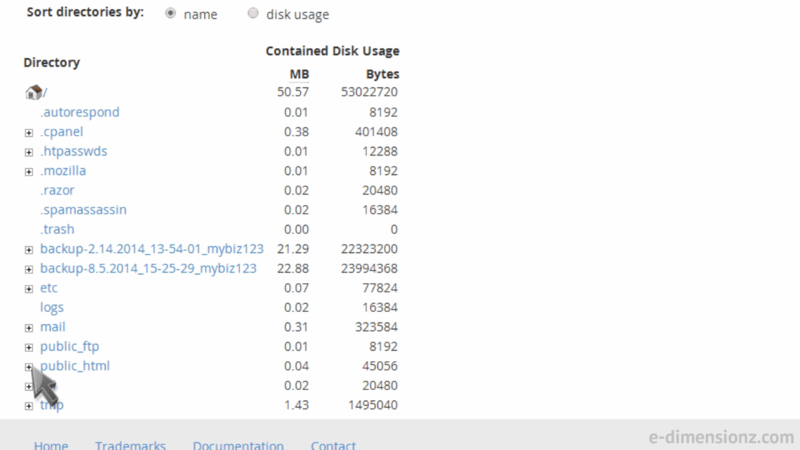 Now let's learn how to use the Disk Space Usage tool. 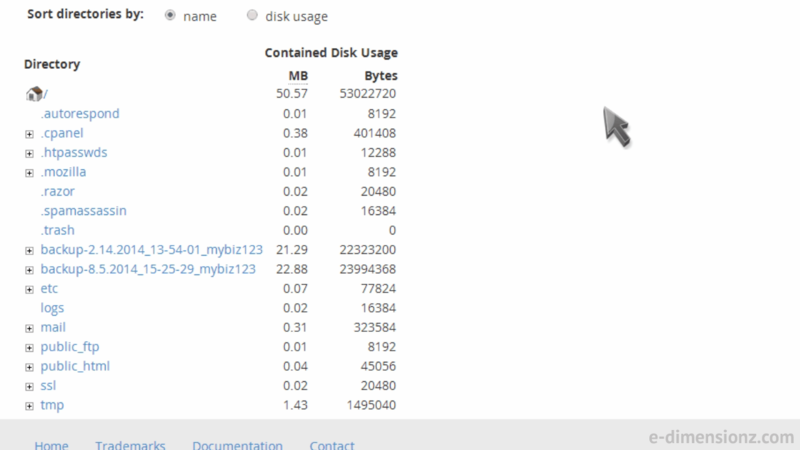 Click the "Disk Usage" icon. 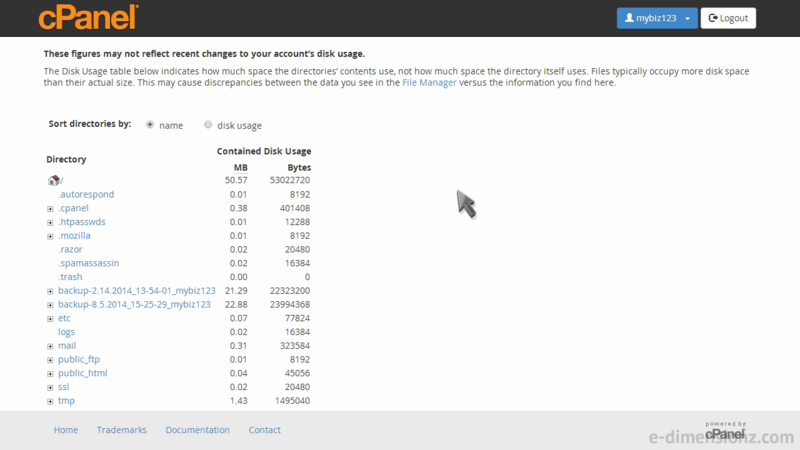 From here you can see how much storage space is being used by each directory and sub-directory in your account. 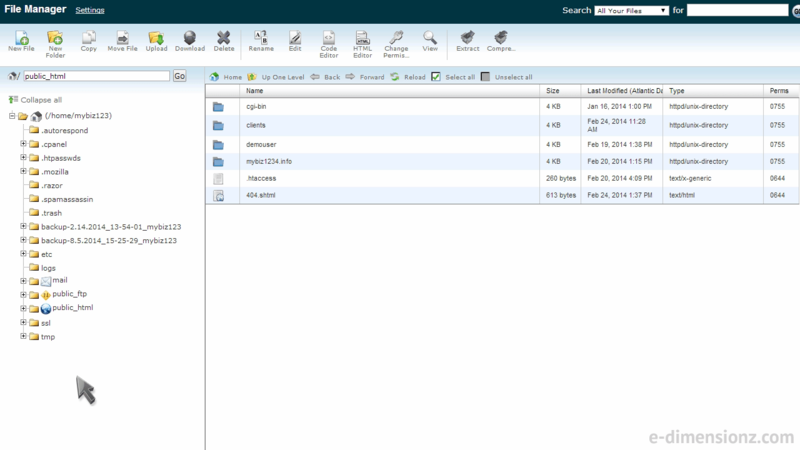 At the bottom of the page is a collapsible list of directories. 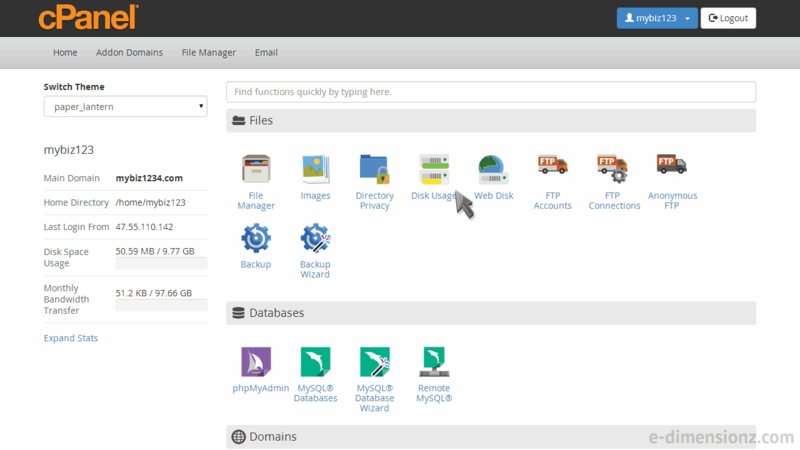 Clicking on a plus sign will expand the directory revealing the specific files and folders within. 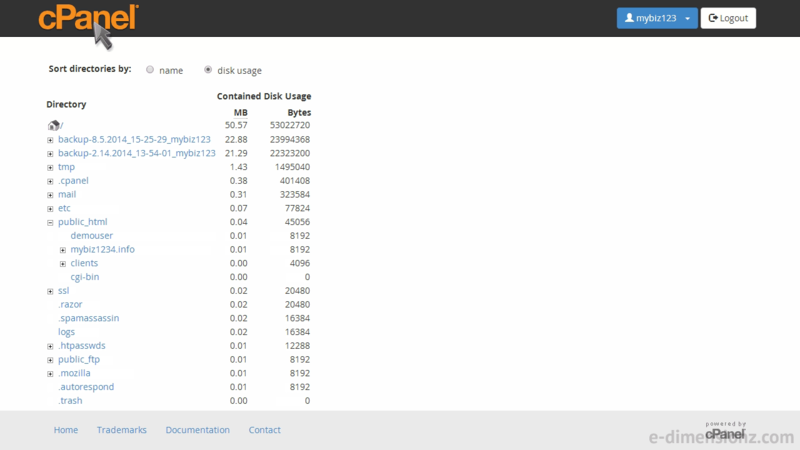 ... will launch File Manager, showing the contents of that folder. 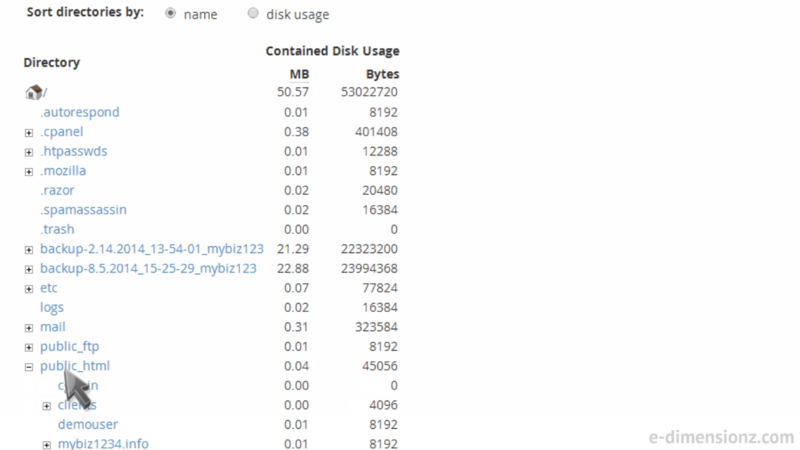 You can choose to sort the folders by name, or by disk usage.